The tag line for Super Smash Bros. 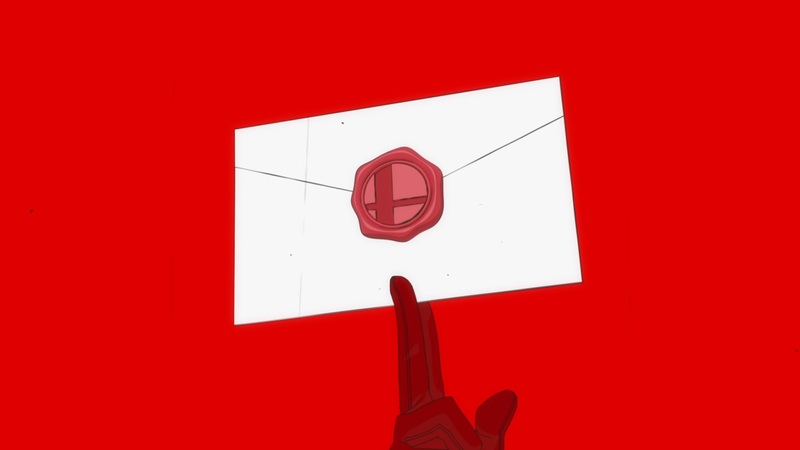 Ultimate is: “everyone is here”, and on the surface that is a reference to the fact that every fighter that has appeared in the series has returned to do battle once again. The care and attention that these characters received upon their reveals or in their move sets, animations and flourishes is clear to see. In classic mode even more affection to the characters is shown with crafted paths that lean heavily on a character’s story, lore or traits. 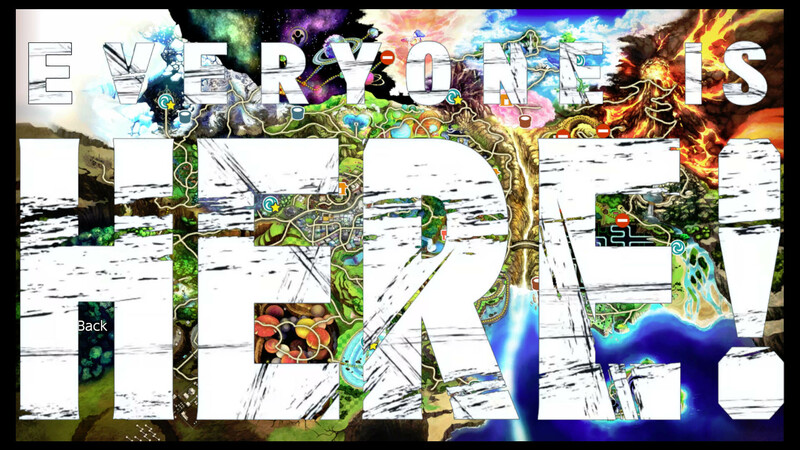 However it is in the larger single player mode, World of Light, where everyone else is shown the love and the true breadth of meaning of that tag line is revealed. World of Light starts off innocently enough with the player navigating Kirby around set paths on a board fighting various Spirits. These battles initially seem like a regular smash battle against a CPU with some kind of gimmick built into it -- the enemy might be giant, or the floor might be sticky. This is the easiest line to draw during the early parts of World of Light because the Spirits that are most abundant here are figures that are generally not that important or impactful in their own games/franchises. Things begin to click a little more when the more iconic figures begin to pop up. It took me a solid while to understand what World of Light and the Spirits system was doing and how it ties into the “everyone is here” thing but eventually I travelled to a certain place on the board and battled a certain spirit and I was hit with an explosion of recognition. They may not be on the roster, but they are there in spirit. Super Smash Bros. 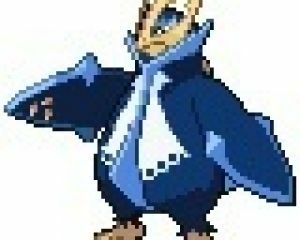 Ultimate not only includes everyone that has been in the series before but also includes the 1300 or so Spirits that make up the bulk of the single player content. World of Light and the Spirit Board allow you to battle Spirits and though you can’t play them, they are expressed in the game as closely as the Smash mechanics can allow. Everything that the game has that can help in that expression is used. The stage, the character/s selected, their costume, items, fight conditions and even certain moves being spammed. All of these things brilliantly moulded together to bring these characters into the game so that fighting a spirit in World of Light or on the Spirit board will feel like fighting that character for real. I’m sure some people will baulk at this and label Spirits as simply homages or glorified references but the sheer number and craft of these fights leads me to believe otherwise. There was no need to have that many spirits in the game nor even a need to make individual fights for each one. The developers could have easily dropped the spirit count to more than half and/or just have them be collectible cards that buff your character as they progressed and that would have achieved that goal. No, the developers wanted everyone to be there and not just be tacked on visually, but actively fightable as well. After all, fighting is the point of Smash Bros and without it there is no expression. What Ultimate is doing is the game mechanic equivalent of cosplaying. Most cosplayers do what they do out of a love for the characters. They spend varying amounts of time and effort constructing a costume and then will parade themselves around so that other people may recognise and perhaps even share in that affection. We all know that that character isn’t really present walking around, taking pictures and buying merchandise but in a way they still are. If you have any affinity for a character being cosplayed, just seeing them will create a mental bridge to the experiences you had in those worlds. In a split second there’s not only a connection to those characters, but more importantly, one to the cosplayer who probably shares those experiences. It is a way for us to instantly communicate what we love to one another and the Spirits in Ultimate are no different. This is why I truly mean it when I say that the Spirits are the game’s love letters to those franchises and characters. It’s a little harder to parse because we don’t think of games expressing things using mechanics. Make no mistake though, instead of using the letters in the alphabet or costumes, the game uses symbols that are all its own. The chosen stages, music, items, characters and rules, used in the right sequence and combination dresses the fights up in a way where we can connect to things beyond the fight itself. Through these battles we form a link to other worlds and characters, and in an instant, both player and game share in an affection for the subject of that costume/battle. It may not always land as the player will have varying degrees of familiarity and affection with the spirit but with there being so many, odds are good that this connection is formed somewhere within the game. It’s no surprise that Super Smash Bros Ultimate is doing well both commercially and critically. I think that even if what was brought up here was missed or even dismissed outright, the rest of the game is solid as always and coupled with the sheer amount of content is enough to placate most people. Though I strongly believe that even if a player wasn’t aware of exactly how Ultimate was expressing its love, they would have felt it in some way regardless. The adoration is palpable and that is because the implementation of Spirits isn’t just lip service but an actual expression of love written in the language of Smash. Ok so let me explain. 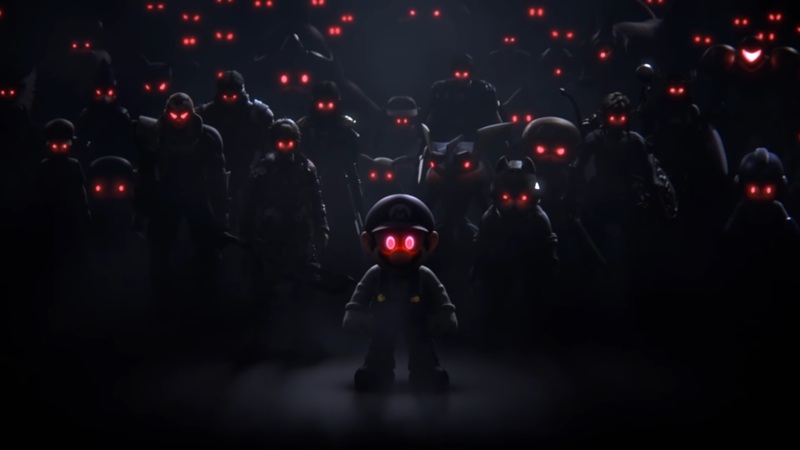 The tagline for Ultimate is, "Everyone is here" and what selection of characters would be more perfect than the two mascots of Nintendo’s biggest rivals, one to represent the indie market and another for PC games. Everyone is here would take on a whole new level of significance as the roster’s representative fighters in Ultimate would then also be from everywhere. There are plenty of other characters that could work within that framework as well but these ones are just the most notable for me personally. If the last 4 are chosen this way (they probably won’t be) then Smash would be something that unifies gaming. It will be this shining pillar of inclusiveness and Ultimate would lay the groundwork for a future where the series becomes something not only Nintendo fans enjoy but everyone. This is what I hope Smash becomes in the future. A Smash Bros game with (probably) the original roster but from there it is anyone’s guess. It’d probably still have a variety of Pokémon, Fire Emblem characters and whatnot but imagine a roster that as a majority didn't come from a Nintendo IP. I remember a time where speculation was limited to Nintendo properties but slowly that limitation is being eroded, and in this future, no such limitations would even enter into the minds of gamers. Smash would just be the event game where every conceivable character could be a challenger. Then, perhaps 3 games into the new cycle we could have Super Smash Bros: Ultimate 2 where the entire second era of fighters is celebrated. That is my dream for Smash, a game that transcends any limitation or thoughts of “X can’t be in it because of Y” and becomes an all-encompassing gaming event that regardless of affiliation or allegiance to a company or platform would be something to celebrate.